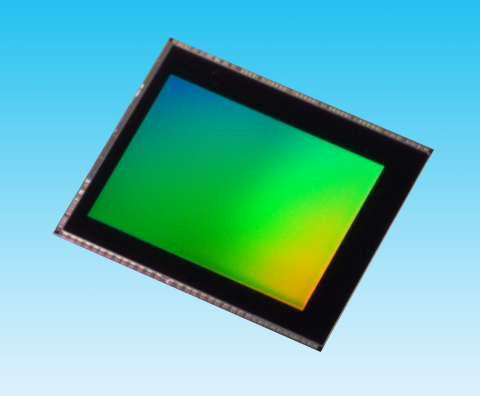 Toshiba Corporation has recently announced the launch of “T4KC3”, a 16 megapixel(MP) BSI CMOS image sensor. Sample shipments are scheduled to start in September this year. In the mobile device market, manufacturers constantly target a small form factor and a thinner final product. Toshiba is meeting this need with a design method already deployed in current products that realizes smaller CMOS sensor chips and low-power circuits. That method has now resulted in the world’s smallest class 16MP chip, which also realizes 30fps at full-resolution output with power consumption of 240mW or lower. The functional range of the new sensor supports users in capturing beautiful images and movies. Phase-Detection Auto-Focus (PDAF), recently embedded in SLR cameras, achieves quick focusing that surpasses conventional auto-focusing, and makes it easier for mobile devices to capture high quality images and movies. “T4KC3” also incorporates Toshiba’s Bright Mode technology, which boosts image brightness up to four times and enables HD video capture at 240fps equivalent, and supports high dynamic range (HDR) to capture natural images of scenes with a high contrast ratio, ending the problem of over- and underexposed images. Additionally the new sensor incorporates 16Kbit OTP, which can store lens shading correction data for four conditions at maximum, such as indoors and outdoors, daylight and sunset. Settings can be switched with a simple command. Toshiba products allow smartphones and tablets to record high quality video at high frame rates, contribute to smaller form factors and extended imaging functions, while achieving reductions in module size, power consumption and part counts in the camera module, opening the way to the design of thinner mobile devices. The world’s smallest class 16MP BSI CMOS image sensor. Low power circuit design that reduces power consumption, realizing 30fps at full-resolution output with power consumption of 240mW or lower. HD video capture at 240fps. “Bright Mode” technology to boost image brightness up to four times. Natural image capturing by HDR under high contrast conditions.